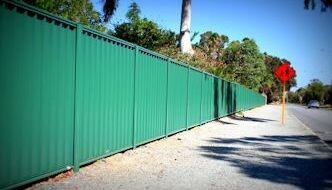 If you need a fence in Cairns, there are plenty of companies to choose from, so it’s important to do your research. Here’s what some of our recent customers have to say about us. 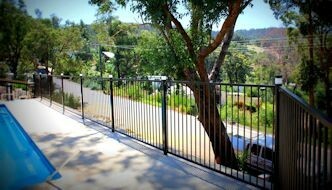 If you are looking for Colorbond Fencing in Cairns, get in touch with Marcel from Fencing Solutions. Quality and affordability are always our priority. Keeping your pool looking its best all summer doesn’t have to be hard work. With some simple weekly maintenance, your pool will be ready to swim in whenever the heat hits. Keep your pool clean and ensure the chemical levels are properly balanced with these simple tips. A pool’s PH should be between 7 and 7.6, while the levels of chlorine will depend on a number of factors including what type of pump system you have, filtration, water level and amount of debris. More vigilance is needed in summer as high temperatures can cause evaporation and lead to water levels falling below the skimmer box. Check out the video below to ensure your pool stays looking its best all summer. Is your pool fence in need of some TLC? Secure pool fencing and a compliant safety gate are essential for the safety of your family and visitors to your home. Talk to Fencing Solutions in Cairns for a free assessment and quote of your pool area. While winter in Cairns isn’t as cold as winter in the southern parts of Australia, temperatures are still milder, and the humidity drops. Combine this with low rainfall and you have the perfect weather conditions to get out in the garden and carry out your winter fence maintenance. A few simple checks and minor touch-ups will keep your fence in top condition for the year ahead. Cut back overhanging tree limbs and shrubbery. Rake up leaves to prevent them piling up around your fence (leaves = moisture). Try not to have things leaning on your fence (ladders, toys and yard equipment for example) as these can cause unnecessary strain and areas of weakness. Touch up minor scratches with paint where required. Complete repairs to fence panels and posts while the weather is dry. Hose down your fence to remove cobwebs and built up dirt, soil and salt. 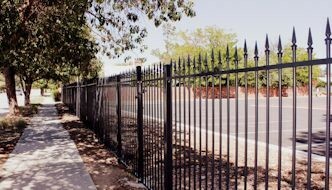 Check the perimeter of your fence to make sure there aren’t any areas of rust or other damage. Check the base of your fence to ensure soil isn’t building up. 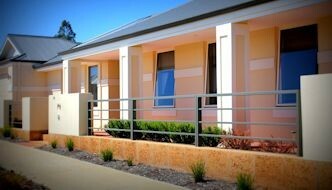 This is the most important part of Colorbond fence maintenance you can perform. Soil needs to be kept approx 20 mm below the rails to prevent corrosion. Don’t use fertilisers or weed sprays around your Colorbond Fence. Time to replace your fence in Cairns? Fencing Solutions has all your pool fencing and Colorbond fencing needs covered. Contact us for a free fencing quote today. Do I Need Swimming Pool Insurance? Setting up pool fencing is a priority for pool owners because it ensures the safety of their family, and it is required by law. But if there’s one thing many pool owners don’t often consider, it’s pool insurance. While it is not mandatory like pool fencing, swimming pool insurance is an important consideration to make, especially when you factor in the cost of pool ownership in the long term. Having pool insurance is also a great idea if you’re not too sure if your existing home and contents insurance will provide coverage for your pool. If you can’t still decide whether to get pool insurance or not, here are some practical reasons why you should consider taking it out. Because you can’t predict when an accident will occur, it’s best to be prepared for the worst-case scenario. For example, severe wind might launch a foreign object into your pool causing structural damage. If you don’t want to have to pay for the repair costs yourself, it makes sense to check if your swimming pool is covered by insurance. For some people, their pool fencing is more than just a safety feature for their pool. Pool fencing can also be an important investment, especially if your fencing matches your pool surrounds. If you have the right cover, you can make an insurance claim for damaged fencing should the gate, or one of the fence panels become damaged due to weather or another unforeseen circumstance. Pool pumps, solar heating systems, and pool maintenance equipment are not cheap.If they are damaged in an extreme weather event, repairing or replacing them can put a real dent in your bank account! If you’re unsure if they will be covered by your home and contents insurance, having pool insurance can give you peace of mind. Need help making a pool damage insurance claim? Fencing Solutions can help. We can process and handle all insurance claims for pool fencing damaged during storms or accidents, providing fast and accurate turnaround on quotes and repairs. What Is a Pool Safety Inspection? In Australia, it is mandatory for homeowners to build a fence around their swimming pool. This is to prevent accidental drownings, which is one of the leading causes of death among young children in the country. However, building a fence is not enough. It’s also important for swimming pools to pass safety inspections. For those who are asking, “What is a pool safety inspection?” here are important things you should know. The owner and the pool safety inspector agree that the latter will conduct minor repairs within 20 business days of the original inspection date. How Do I Find A Pool Safety Inspector? So How Do I Find A Pool Safety Inspector? To find a pool safety inspector, you can search for one online. You can choose from a list of certified inspectors in your area provided by the local government, or if you’re looking for a specific inspector, you can use their name, business name or licence number as keywords during your online search. Pool safety inspectors can provide their services on a consultancy basis for those who simply require advice. They also conduct a full inspection and issue a certificate or non-conformity notice. Some inspectors can also carry out minor repairs, including adjusting or replacing a latch, or striking and removing climbable objects around the pool. If you need a reliable inspector to inspect your pool, Fencing Solutions offer a pool inspection service. 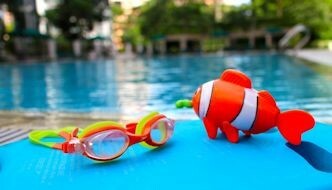 We have an Unconditional Pool Safety Inspector License and are also capable of carrying out repairs. 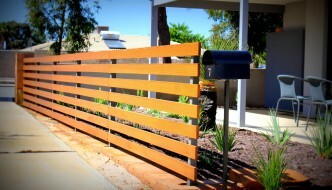 Contact Fencing Solutions today.